Get ready to celebrate Thailand’s traditional New Year with Songkran. Thailand has a rich and diverse culture, and part of it is their upcoming Festival “SONGKRAN” held in the month of April every year. 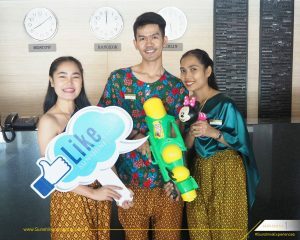 Songkran is popular for being a water splashing festival throughout the country during the hottest time of the year. The exciting Songkran celebrations will start happening all around Thailand in mid of the month from 12 April to 20 April. Songkran is one of the biggest and most important holidays in Thailand. 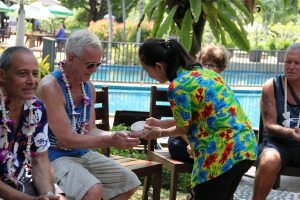 Songkran is a time to reunite with family, pay respects, and ask for blessings for the new year. It’s well known for family reunions, temple visits, and house cleaning. Thai families would visit relatives to receive blessings and ask for forgiveness from their seniors. Songkran is a period filled with celebrations all around the country. The most significant feature of the holiday is water. During the holiday, water expresses different traditional Thai characteristics such as love and thankfulness. There are a variety of uses for water during Songkran. Water is typically sprinkled on images and statues of Buddha. This is symbolic for receiving blessings in the new year. Another act is sprinkling water on elder family members. This is an act of showing respect and gratefulness for them. Songkran is a fun time in Thailand and has to be experienced at least once in your lifetime. Water guns, massive hoses, stages with live music and bass bumping, parades, street food, and people of all ages having a grand time getting each other soaking wet. This will be one of the most exciting times to visit Thailand. 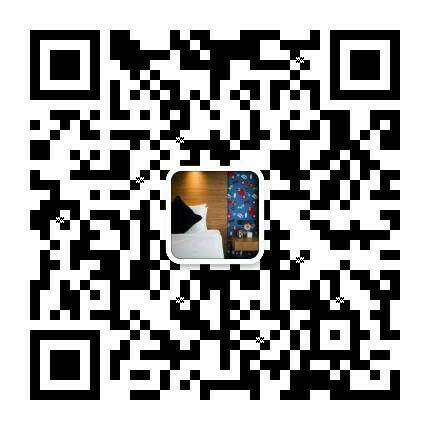 Everybody in the city is in a festive mood and creates a fun atmosphere in every part of city. Put your mobile phone and cash in a zip-lock plastic bag to prevent them from getting wet. Leave your valuables at home or in your hotel safe. You might need to have some extra cash on you and your phone to contact your friends, but only bring the real essentials kept in a zip lock plastic bag. You are gonna be wet, so choose your clothes wisely. As a thai tradition wear bright colour florals shirts, Light and fast dry fabrics are the best. Underneath, a swimsuit or beach shorts are a must. As the floors are going to be wet, opt for sandals or flip-flops with a firm grip to the ground rather than dressy shoes that can make you slip and fall but wear something that can protect your feet and that will be safe to walk on the slippery streets. Get ready to deliberately squirting in the face with a high pressure water pistol or someone rubs white powder on your face. you can protect yourself by wearing goggles and earplugs and also Carry a bunch of tissue paper or towels in a bag to wipe it immediately. you should apply sunscreen to avoid nasty burns and keep yourself hydrated as it will be the hottest time of the year. 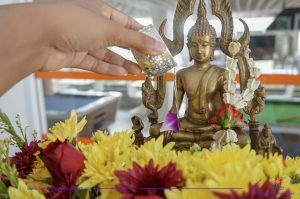 Wake up early and visit the local temple to make merit in the celebration of Songkran by offerings Food and water to Monks and sprinkle scented water on Buddha image. It’s wrong to drink and drive during any time of the year, but during Songkran day, drink and drive can be even more dangerous. Most of the people rent scooters, So if you ride a motorbike during Songkran, use your helmet all the time. It better to use public transport for your safety. Play safe and avoid accidents and avoid throwing water on Motorbikes. Respect Elders, Babies , Pregnant ladies and Monks. 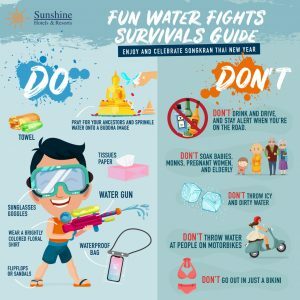 Splashing water is great Fun during Songkran but never do it to monks, elderly people or babies and if you end up doing it by mistake, apologize straight away and feel sorry for your behaviours. If you are a woman, try not to dress provocatively – particularly Bikini or strap tops or white t-shirts that become revealing when wet and drunk people can take undue advantage of it. To enjoy this water fun try to use clean water. Avoid splashing dirty water which will cause sever infections. Here it is, today is April 12, the official start of Songkran celebrations in Thailand, the Buddhist New Year. Whether you’re in Pattaya or exploring one of the more rural parts of the city, the Songkran celebrations will surely be memorable.